The member’s spotlight this month is our very own Bruce Estes. Bruce’s father flew with the 8th Air Force in World War II, but when he came back from Europe, he never flew again. He was, however, very involved with the local model aircraft scene, and that’s how Bruce got involved with flying. They’d build and fly model aircraft together. Bruce grew up in Redwood City, seeing the Bay Area traffic and the NASA aircraft from Moffet Field, but his grandmother lived near Hamilton Field, so he’d also see the Air Force aircraft there. He’d always wanted to fly, but didn’t find the time until 2000, when he took a discovery flight. In the next few years he got his private pilot’s license and then an instrument rating. A few years later, he earned his commercial pilot’s license, though he has never intended to fly commercially. His first aircraft was the Cessna Cardinal that he bought in 2002. Then, in 2010, after around 750 hours of work he finished building the Kitfox he’d bought as a partially built aircraft. He sold the Kitfox in 2015 to buy his current RV-6, as he wanted to go faster and fly a tail dragger. Bruce currently flies about 100 hours a year and has over 1500 hours total time. He’ll be adding hours with a trip to Las Vegas later this year. Bruce is planning to do some extreme attitude recovery, as he’s been flying gentleman aerobatics (loops, rolls, Cuban 8s) in the RV-6. He’s interested in what he calls easy positive G maneuvers after winning awards for aerobatic flying with the model aircraft. 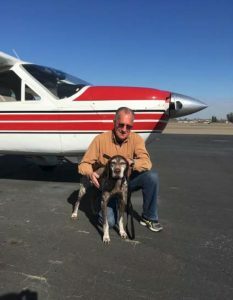 He stopped flying the model aircraft when he moved to Granite Bay from the Bay Area as he’s flying more, but he’s still interested in the scene, flying out to Castle Airport Giant Scale fly-in this past summer (and writing it up for the newsletter). 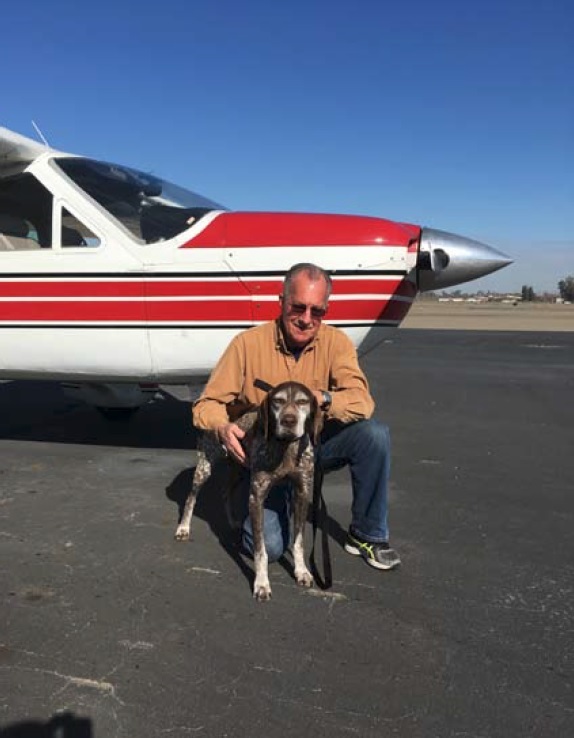 Bruce is retired, but he’s still very busy – his property management means he flies to the Bay Area regularly – and he writes many articles for the EAA newsletter. He’s been on the Board for the last 4 years, but stepped back this year to allow new blood to get involved, We thank him for his past service but we value his for his present service, too. Bruce can be counted on to help out where needed and he is always there to lend a hand. And, hopefully the newsletter articles will keep coming!